Effective use of IIoT-derived data makes it possible for disruptors to a predictive environment that helps edge out established manufacturers and take market share in the process. The Internet of Things (IoT) attracts plenty of media coverage these days, with experts saying it will fundamentally change significant aspects of consumer life and business. We’ve all seen IoT in action in many ways. For example, one study suggests more than 79% of U.S. consumers have at least one smart home device. These devices are increasingly interconnected. A recent Neilsen report found a growing number of consumers sync data from their phones to smart speakers (Alexa and Google Home) to stream music and make purchases. What does the Internet of Things mean for manufacturing? The IoT isn’t just about consumer products, of course. For those of us who work with manufacturers, the technology falls under the IIoT (Industrial Internet of Things) umbrella, and it’s a game changer as well. IIoT brings networked sensors and devices to the plant floor for collecting data that can be used to strengthen operations through predictive analytics and artificial intelligence, among other things. In so doing, the IIoT transforms traditional linear supply chains into dynamic network-based supply chains. Armed with IIoT-derived metrics, plant engineers have more real-time data than ever before, while workers can increase their productivity in safer work environments. The location-tracking abilities of some IIoT applications, for instance, dramatically reduce the time factory workers spend finding tools that may be spread out along very large inventory lots. Forecasts of IIoT usage illustrate its profound growth within manufacturing settings. According to IDC (Intl Data Corp., Framingham, MA), IIoT spending will experience a compound annual growth rate (CAGR) of 13.6% from 2017 to 2022, and reach $1.2 trillion in 2022. In terms of total spending, IDC predicts discrete manufacturing and transportation will each exceed $150 billion in spending in 2022, making these the two largest industries for IIoT spending. These are huge numbers, but we aren’t there yet. In my experience speaking with plant engineers, their uptake on IIoT capabilities is rather low. That has to change—quickly. Many plants run smoothly enough, so the impetus to change may not be a clear and present concern. But have you leveraged new technologies in your plant to foster growth? Technology investment decisions can be challenging. However, now’s the time to make them, because, while some firms aren’t doing so, many are. In addition, the gaps between those investing in IIoT capabilities and those still thinking about it are growing rapidly. Think of the disruptors—firms competing without much of the costly infrastructure or legacy IT systems of their older competitors. They leverage new technologies in novel and efficient ways, create value throughout their respective supply chains, and separate themselves from the pack. Disruptors are edging out established competitors and potentially taking market share in the process. Indeed, when it comes to IIoT, disruption damages companies that have not embraced the imperatives manifest in that disruption. 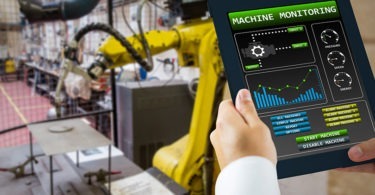 Transferring data among machines: By adding sensors to every machine—and then connecting those sensors to a centralized ERP (Enterprise Resource Planning) system—you are digitally connecting your entire plant. 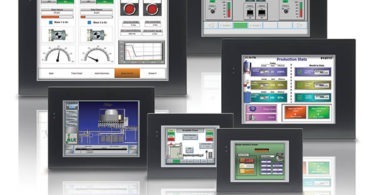 Instead of acting like silos, these connected machines now form a smart network that plant engineers can monitor and manage with never-before-seen precision and timeliness. For instance, they can monitor the behavior and/or production flow of any given machine within their newly connected network. This helps identify and drive targeted efficiencies. Predict to prevent: That same data—channeled through an ERP—can be reviewed onsite and/or shared with OEMs to predict any required machine maintenance. This information could be part of an analytics-based report or embedded in an algorithm used to predict when a piece of machinery may break. For example, an IIoT sensor sends data to your ERP, which then interprets that information, based on established safety thresholds. Think of a fan belt. Data from a sensor could be used to determine if that fan belt is about to break, in which case an alarm is relayed to the operator through a wearable device of some kind. Not only does the analysis of this data allow you to move from reactive to predictive maintenance, but these real-time data connections can prevent potential harm to a team member, and reduce the number of maintenance-related safety issues within your plant. Enhanced inventory management and quality control: Your machines are running at full capacity and you need to know exactly when new materials will arrive. Sensors on incoming shipping vehicles can provide precise information that allows you to plan production uptime much more efficiently, thereby increasingly productivity and decreasing downtime. Similarly, sensors on forklifts can provide useful inventory-management data. When coupled with shipping-vehicle sensors and in-plant monitors on your machines, you have real-time visibility of how things are moving into, across, and out of your plant. At the same time, you can enhance the quality control of finished goods before they leave the plant. Sensors embedded in the products can “speak” to machines and plant operators with data on the quality—and not just the quantity—of the goods before they are shipped out. Lorraine Howell is vice president of research & development for Illumiti, an ERP implementation firm and SAP Platinum Partner located in Thornhill, Ontario (illumiti.com). Howell has more than 20 years of experience in SAP implementation in various industry sectors. She can be reached at lhowell@illumiti.com.